Last night, millions of baseball fans tuned into FOX to witness one of the rarest sights in all of sports—a game at Marlins Park in which the stadium was more than 30% full (for a while, anyway). The reason for the atypically large crowds was an incredibly close MLB All-Star Game, which saw the American League triumph over their National League counterparts 2-1 in ten innings. That AL victory was secured by Seattle Mariners slugger Robinson Cano, who homered off of Cubs closer Wade Davis in the top of the tenth. 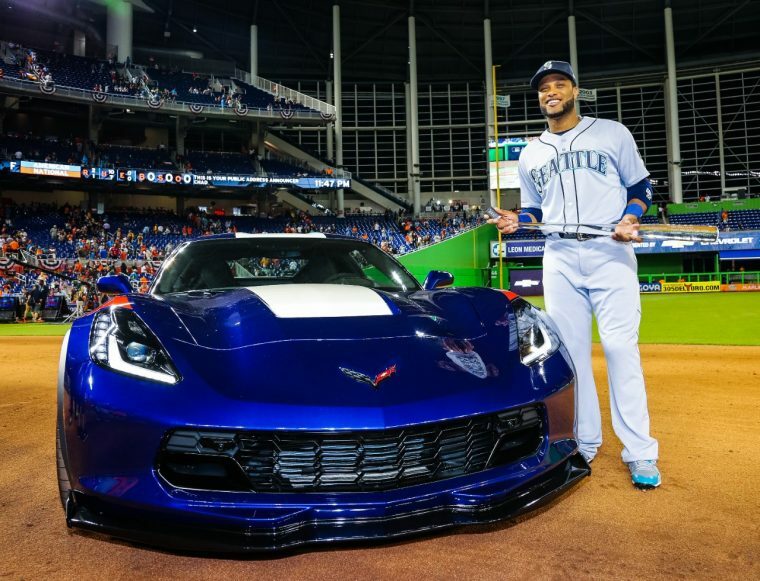 In recognition of his heroics, Cano was named the game’s MVP and given his choice of either a Corvette Grand Sport or Colorado ZR2 pickup truck from Chevrolet. Cano chose wisely, picking the sports car as his prize. This marks Cano’s first All-Star MVP award and makes him the third Seattle Mariner to take the title, after Hall of Famer Ken Griffey Jr. (1992) and future Hall of Famer Ichiro Suzuki (2007). “Robinson Cano turned in a tremendous performance tonight and is an excellent example to all baseball fans, and especially our kids, that hustle, determination and teamwork are what wins, and that is why Chevrolet is proud to present the MVP award,” said Chevy’s US VP, Brian Sweeney. As the “Official Vehicle of Major League Baseball” since 2005, the bowtie brand is closely associated with America’s pastime. Through its Chevrolet Youth Baseball program, the automaker has donated more than 135,000 equipment kits, renovated more than 9,400 parks, and impacted more than 6.7 million boys and girls across America. Perhaps Chevy’s greatest philanthropic contribution to the sport, however, is giving a free sports car to a guy who is making $24,000,000 this year to play baseball.